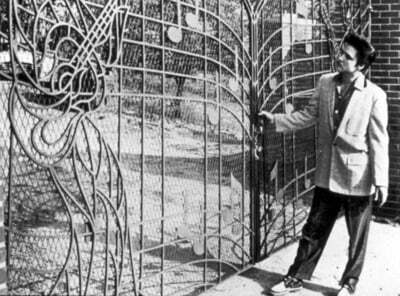 Graceland was once part of a 500-acre farm that was owned by the S.E. Toof family. The land had been part of the family for generations and was named after one of the female relatives, Grace. According to Graceland history, in 1939, Grace's niece, Ruth Brown Moore and her husband, Dr. Thomas Moore, built the mansion, which became well-known to the locals of Memphis. The Moore's daughter, Ruth Marie, was musically accomplished and became a harpist with the Memphis Symphony Orchestra. Classical recitals in the front formal rooms were common, just as rock 'n' roll and gospel jam sessions would be after the next owner moved in. In the spring of 1957, when Elvis Presley was 22, he purchased the home and grounds for just over $100,000. The previous year had been a whirlwind - it was Elvis' first year of super-stardom including historic network television appearances, record-breaking live performances and armloads of gold record awards. At the time he bought Graceland, Elvis was working on his second motion picture, "Loving You," with "Jailhouse Rock" to follow, just the beginning of a long film career for Elvis Presley. House guests at Graceland included family members and friends at various times - some in the mansion proper and some in residential accommodations elsewhere on the grounds. And although Elvis had various homes in the Los Angeles area and spent a great deal of time on the road with his concerts, Graceland was always home base - a constant in the life of Elvis Presley. House tours are available, and the Graceland Archives are full of Graceland history and information about the life of Elvis Presley.